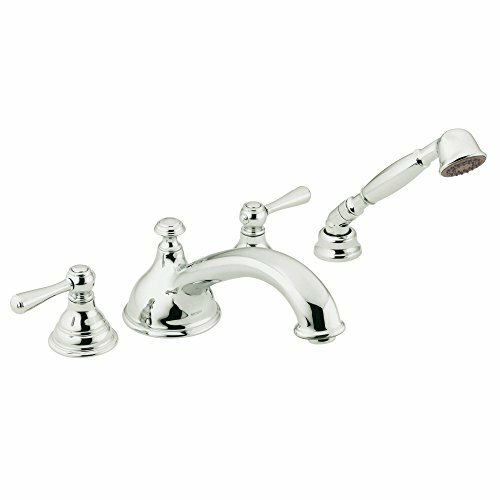 Easily change the style of your Roman tub faucet with the Moen Two-Handle Roman Tub Valve. 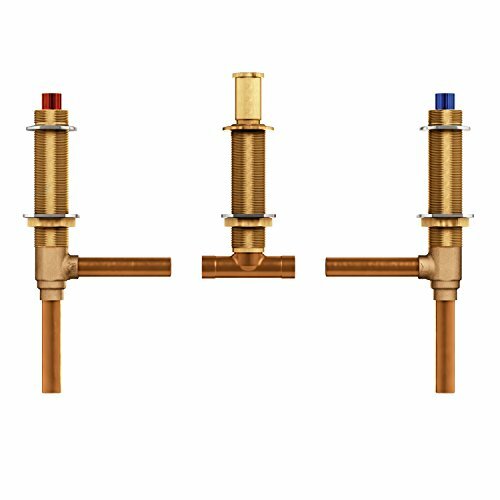 Designed with Moen M-PACT technology, the valve is compatible with all Moen Roman tub trim kits that have been built on the M-PACT valve system. 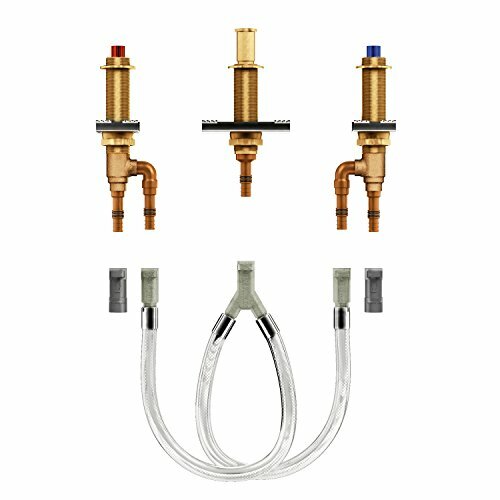 Once installed, the valve allows you to easily update your trim kit without changing any of the plumbing. Featuring high-quality construction and backed by Moen's Limited Lifetime Warranty, the Moen Two-Handle Roman Tub Valve adds durability and convenience to your plumbing system. TS903 Finish: Chrome Features: -IoDIGITAL® puts you in control of precise temperature, flow and custom presets, providing the ultimate blend of technology and luxury. -Built on the Moen M-PACT common valve system, allowing you to update the faucet style in the future without replacing any plumbing. -Child safety feature allows you to lock the buttons to prevent unwanted operation. Product Type: -Roman tub faucet. Style: -Traditional. Faucet Material: -Metal. Country of Manufacture: -United States. Generic Specifications: -Complies with Americans with Disabilities Act (ADA) specifications. 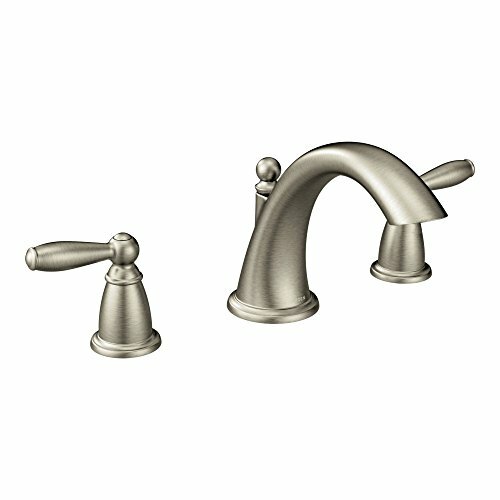 Dimensions: Overall Faucet Height: -4.75". Faucet Spread Maximum: -10". Spout Reach: -7.813". Overall Product Weight: -6.37 lbs. 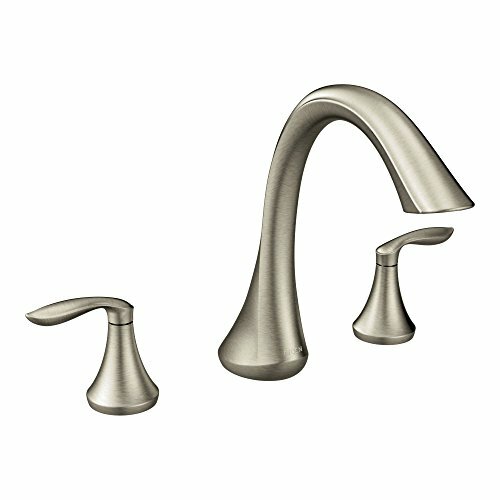 The elegant swooping spout and soft lines of the Serrano collection bring continuity to a wide range of home designs. Featuring anchorless installation and ceramic disc valves, Serrano is the perfect choice for those looking for a stylish family of faucets that is easy to install and guaranteed to last. 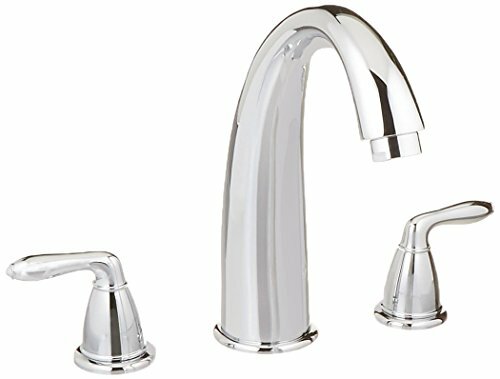 T933 Finish: Chrome Features: -Roman tub faucet.-Trim kit for 2 handle roman tub.-Fits M-PACT system.-Lever handles.-7'' Spout.-ADA compliant.-Does not include valve. Dimensions: -Dimensions: 6.75'' H x 16'' W x 8.13'' D. Collection: -Brantford collection. TS904 Finish: Chrome Features: -One-function hand shower. -Built on the Moen M-PACT common valve system, allowing you to update the faucet style in the future without replacing any plumbing. Product Type: -Roman tub faucet. Style: -Traditional. Faucet Material: -Metal. Country of Manufacture: -United States. 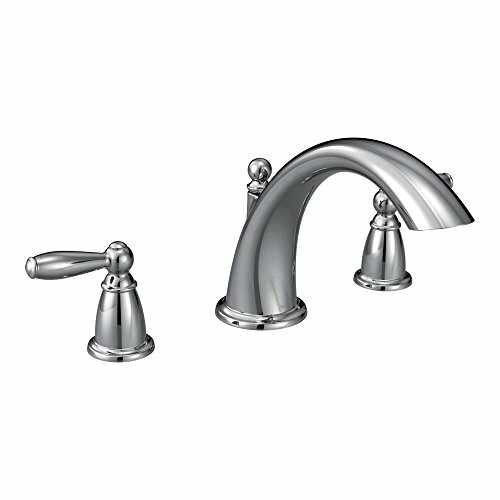 Dimensions: Overall Faucet Height: -4.75". Spout Reach: -7.625". Overall Product Weight: -6.4 lbs. This item falls within our lowest price guarantee!Standing apart with its understated details, while mixing beautifully with almost any decor, the Kingsley series is a versatile choice that finds itself at home on an old-fashioned pedestal sink - or in the latest vertical spa. Compare prices on Two Handle Garden Roman Tub at ShopPlanetUp.com – use promo codes and coupons for best offers and deals. We work hard to get you amazing deals and collect all available offers online and represent it in one place for the customers. Now our visitors can leverage benefits of big brands and heavy discounts available for that day and for famous brands.